Since October I have been on an extensive and exhausting travel schedule, primarily teaching PLC and HMI classes for Automation Training. While I enjoy teaching more than almost anything else, sometimes the material can become a bit repetitive and almost stale, especially if the students are not particularly interested in the material. You might ask, why would people take a class they are not interested in? Well, sometimes management has a budget that they simply need to spend, and since they know there are PLCs in their plant or industry, they sign a bunch of people up for classes without knowing if they are necessary or pertinent. For example, maintenance people need to be able to troubleshoot equipment, and since the equipment is controlled by a PLC you might think it would help to know how they are programmed. While this is true, not every technician is even authorized to make changes in a program. In the pharmaceutical or medical device manufacturing industries, software is validated and changes require extensive analysis before being implemented. Also, OEM machinery or custom production lines may either be “know how” protected or locked down with a password. Integrators may also claim that their warranty or support agreement may be voided if changes are made by people other than themselves. Because of these kinds of issues, technicians or maintenance personnel may go years without doing any editing or programming. Yet most classes by necessity are focused on programming. Classes also need to be somewhat cookie-cutter. It is quite a task to write a good training manual. The exercises and explanations need to be tested and iterated upon for many classes before they are relatively error-free. Even then there can be things that are unclear. Typically I will customize the material for the industry. If students are from process control or petrochemical industries I use a very different approach than if they are from say, automotive manufacturing or packaging. To do this I need to be able to stay abreast of developments in a variety of disciplines. One of the things I explain to students taking the “advanced” PLC classes is that the class doesn’t really cover advanced techniques, it simply uses the advanced instruction sets. While introductory classes cover bit logic, timers, counters, math and comparisons along with hardware, the advanced classes usually go into more complex file instructions, ASCII manipulation, PID and data structures. By its nature, these classes are usually attended by students who have mastered the basics and at least feel comfortable navigating the software. Last week I taught an advanced Allen-Bradley ControlLogix class in Sacramento, California. The students all had years of experience in their fields and the class went quite well, despite the fact that students were from different industries and backgrounds. There was more than enough time to cover the material and there were few enough students so that I could provide individual attention. This week I will be teaching the same class in Kentucky. There are a lot more students, they will each have to share a PLC, and they just took the introductory class the previous week. This could be a recipe for disaster; I have already received word that they have been thrust into taking the classes and are behind in the material. One saving grace is that they are all from the same company/industry, and I have advance warning of the circumstances. I am pretty flexible and have quite a bit of experience in their field and understand their perspective, so I will be able to respond appropriately and hopefully make the class interesting… to them. I consider myself adept at three PLC platforms; Allen-Bradley (PLC5, SLC500 and ControlLogix), Siemens (S7 and TIA Portal), and Koyo/Automation Direct (200, 300 and 400 series). I also have a decent amount of experience in Omron, Mitsubishi and GE. 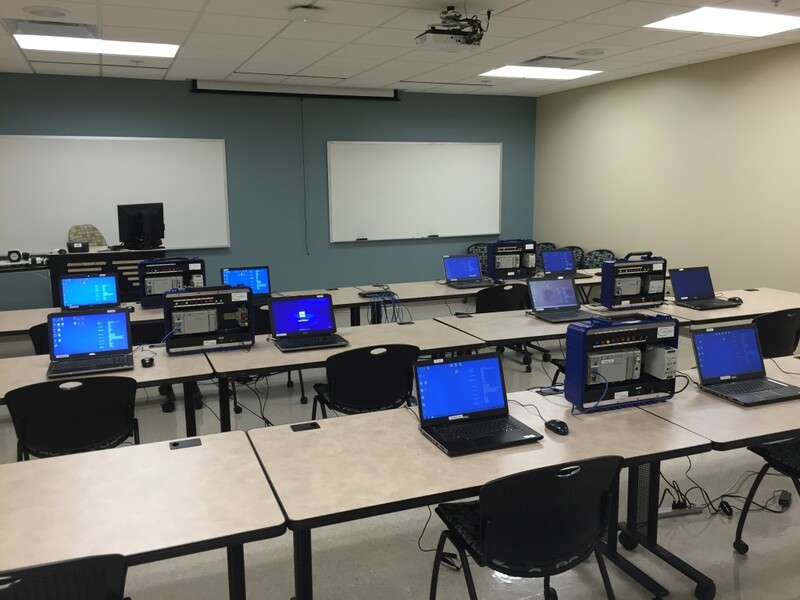 I program and teach all Allen-Bradley HMI platforms (old Panelviews, RSView32, FactoryTalk View SE and ME), Wonderware Intouch and various associated add-ons, and the Siemens WinCC family. Being versatile at multiple platforms allows me to provide comparisons and perspective to students who may be migrating or upgrading from one product to another. Why do I mention this? Because while classes with a fully developed lesson plan, manuals and fully tested subject matter are important, there is often a need to go beyond this type of material. For example, much of my “other” work over the past few years has involved teaching in a plant environment using existing equipment. An example is the Miami beverage plant that I have spent about a week or two every month at over the past year and a half. While the intent was to add several tanks to the existing compounding and CIP system, during the project I trained the company owner and several technicians in the programming techniques used by the original integrator. To do this I had to learn them myself; having a project goal and several problems to solve created a good environment for this to allow for immediate payback for the plant. Now they are to a point where I don’t need to be there unless something particularly sticky comes up. Before that I was brought into a machine building company in the Northeast to organize their controls department into a cohesive entity. I was only involved in this for about four months or so, but the reason it worked well as an advanced training exercise was that they needed a controls template that all of the contract and other recently acquired controls engineers could get on board with. Since I have quite a library of controls templates from large companies like Wright Industries, American Axle, GM, Proctor and Gamble and a host of custom machine builders I was able to put together something that could be agreed to by all of the different factions. None of the people there would have been able to do this because they were too closely involved in the projects. It helped that I was an outside influence rather than someone they knew. Over the past several years I have purposely withdrawn myself from working on projects and machinery on an individual basis. For one thing I am getting older and have the luxury of being able to choose my path and control my time. For another I have discovered that I truly enjoy teaching, especially when students are eager to learn. Automation Training has become a kind of bread and butter thing that I can build around my other enterprises, it keeps me involved in different industries and allows me to indulge my “travel bug” on a shorter term basis. At the same time I am looking to open up my teaching opportunities for truly advanced training like the projects I mentioned above. I occasionally get to do this sort of thing with Automation Training when a customer requires a customized approach particular to their industry, but this is subject to the restrictions of what is appropriate or economical for AT. I would like to make myself available to any company or group, worldwide, that desires truly advanced training in industrial automation-related fields. While I have focused on PLC, HMI and SCADA training in this article, I have also written a book on industrial automation that covers a lot of subjects in a broad way. I am especially interested in teaching outside of the US, since most of the most ardent appreciation for my book has come from places like India and Malaysia. If the situation is appropriate, I’m sure I can draw on resources from Automation Training or other companies I am associated with. My expertise is primarily on the platforms I listed above, but I bring extensive experience and perspective from automotive, pharmaceuticals, process control, metalforming and plastics, material handling and packaging industries. Machine building, pneumatics and hydraulics, robotics, machine vision, servo control and a host of application-specific product knowledge are also part of the things I would like to offer. So shoot me an e-mail or give me a call if you are interested in personalized industrial training for your company! I am not trying to compete with packaged generic classes, especially when it provides part of my livelihood, but if you want to journey far beyond standard material, give me a shout!